Couple of years ago we have been asked from ESA to make hyperspectral measurement at different hights (from ground up to the top of the boundary layer) in order to evaluate how the atmosphere absorbs the fluorescence signal and how this signal can be detected while increasing the altitude. After some toughts we ended up with a design of a plane who could make this job. The realization took a while since it had to match extreme perfomance. But at the end we have a system ready: The FloX Plane. FloX Plane is a piece of art designed by Kai Wittneben (Aeromedes) and manufactured in collaboration with JB. 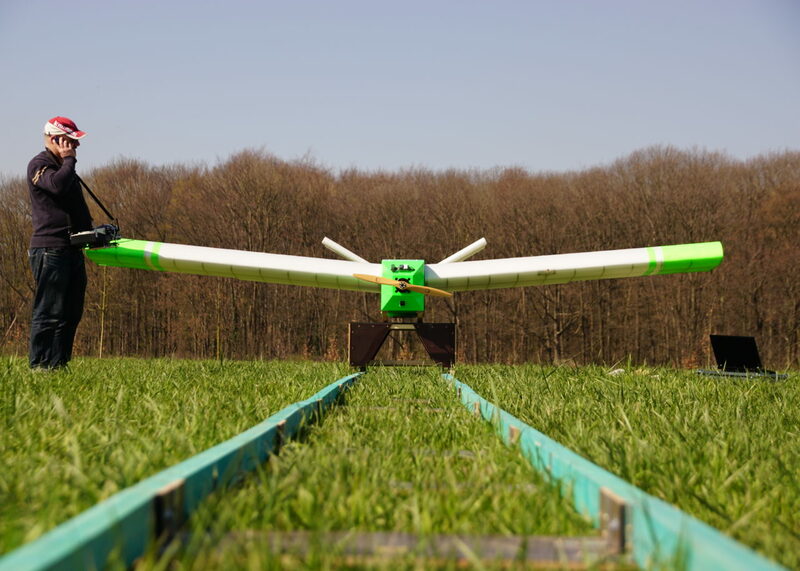 It’s specifically designed to load several kilos of sensors and battery and to fly up to 4 km.